AND as full price is over £10 you can get a free newspaper. All around 24hrs plaque protection, when used twice a day. Gentle, no alcohol burn. Clinically Proven. 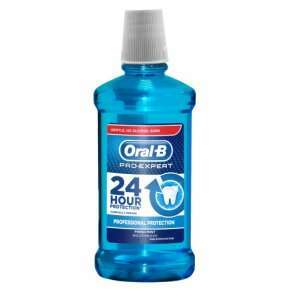 Fresh mint flavour.Oral-B Pro-Expert Professional Protection mouthwash is an effective everyday mouth rinse support to reach all areas of the mouth for 24 hours long-lasting plaque protection, when used twice per day. It gives no alcohol burn and has a pleasant fresh mint taste that leaves a sensation of freshness and cleanliness in the mouth. Deal posting newbie! This is Hattiethemanattee first deal post. Help out by leaving a posting tip or just to show your appreciation for their contribution.